Yeah, that didn’t last very long because I currently have a doll waiting for me at the post office. I just need to go get her but have been unfortunately mostly snowed/iced in at home (and driving in very questionable weather when I go to and from work). The weather’s been rather frightful, and (in short) annoying as it is now February. Despite living in Canada, my part of Canada rarely gets a lot of snow. Vancouver typically gets a small amount of snow that easily washes away with rain a few days after snowfall. Instead, the west coast has been hit with multiple snow storms since the beginning of December. Photos soon of my new acquisition doll. I’m very excited about her, and haven’t told that many people about who it is – yet! I didn’t even go through the process of getting her some kind of fancy dress, although maybe I should. I can give you a few hints about the new girl though, she’s stock, blonde, and not a recent release. I used to keep various parts of my life fairly separated from people I knew in “real life”/offline. The only people who knew about my dolls were members of the doll community online. But with how interconnected everything gets on the internet nowadays (mostly with Facebook), there’s a trickle down effect that results in me occasionally being asked at work “So what are those dolls that you keep posting on Instagram/Facebook?”. I do add coworkers to my Facebook, which then results in coworkers being added to Instagram. And for the most part I actually don’t post a lot of photos of dolls anymore – it’s mostly tea these days, and photos of dolls when I’m at doll meets. I’ve just gotten into this weird constant phase where I am active but I am not active in the doll community at the same time. 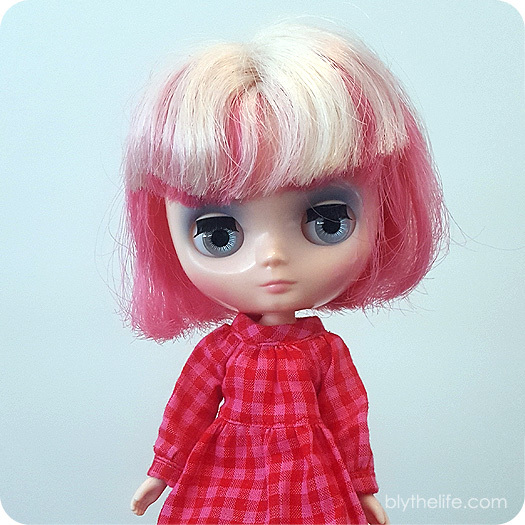 Yes, I still blog here, but I don’t have the motivation to take a photo of a Blythe on a daily basis. Is this what adulting is like? Gosh, I hope not. 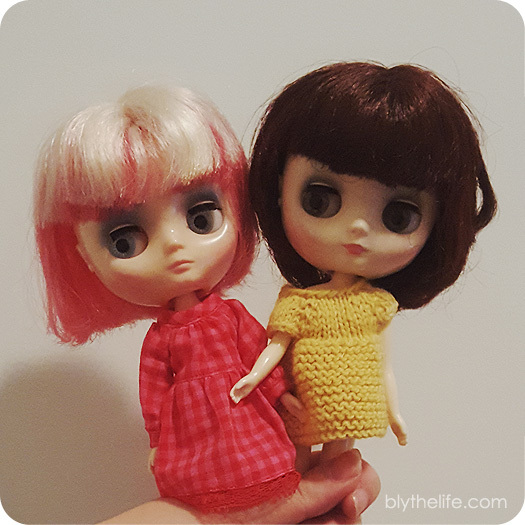 Also, I still need to make a pair of scrubs for my dolls, because the idea of matchy outfits with me and a doll make me smile. And yet I still find myself explaining dolls from time to time. 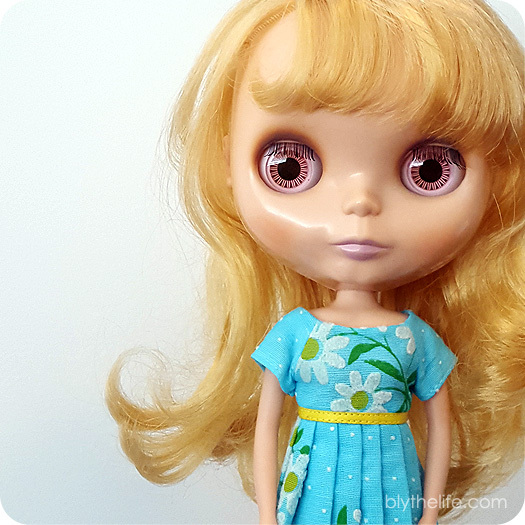 I generally start with the fact that Kenners existed, how they were picked up by a Japanese toy company, and the dolls have the pull string and the ability to change eye colours. Usually that earns me a confused look that reads why I did even ask or it garners me more questions that usually consist of “Do you have any more photos?”. And just like a proud mama of a toddler or a fur-baby, I gleefully pull up my Instagram or Flickr and show more photos, or try to find a video I have on my phone of me clicking through the eyes. Sometimes it goes into a conversation of “But why?” and then I just shrug and go “Why not? It’s a hobby just like crafting or video games.” (which, surprise! are some of my other hobbies). I ask them about their hobbies to which I get replies about baking, crafts, dance/yoga/jogging/other forms of personal torture and then I go “we all need something to keep ourselves sane when we’re not at work”. 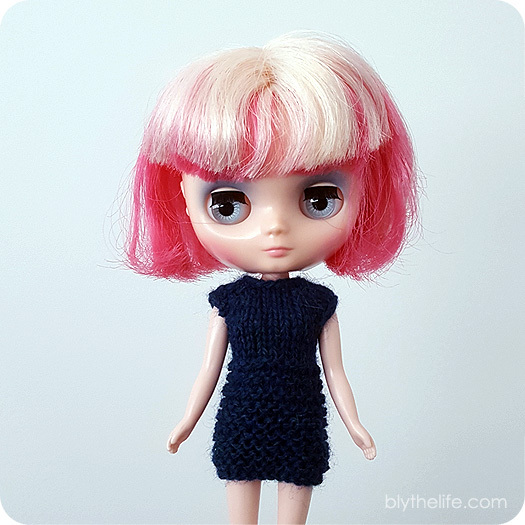 How do you explain your doll hobby to the muggles in your life?